Chicken Tortilla Soup is the best soup you’ll ever have! 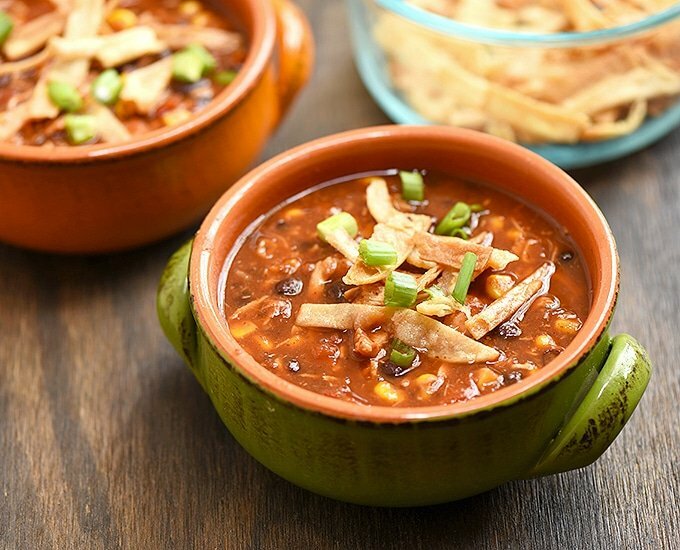 Loaded with moist chicken, black beans, corn, flavorful broth, and crunchy tortilla strips, it’s hearty and incredibly tasty! You guys, do I have something amah-zing for you! Homemade chicken tortilla soup. Chock-full of moist chicken, black beans, roasted corn, and crisp tortilla strips, it’s a smorgasbord of flavor and texture! This soup makes a great meal starter but is hearty enough as a main course. 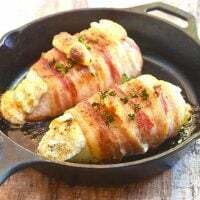 Serve it with a side of salad and cornbread, and you have a satisfying meal the whole family will love. 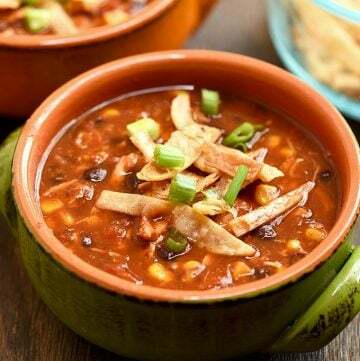 Aside from being incredibly tasty, this easy chicken tortilla soup recipe uses simple pantry ingredients, is ready in minutes and in one pot! The chicken gets cooked in the soup to absorb all the smoky Southwestern flavors. Feel free to double (or triple!) the recipe; leftovers will keep well in the fridge for up to three days and in the freezer for up to three months. Just allow the soup to cool completely, transfer to airtight containers, and store in the freezer. Thaw overnight and reheat in a saucepan over medium heat until completely heated through, adding more liquid as needed. And the best part is, you can easily make it in the slow cooker for virtually hands-off cooking. Season boneless, chicken breast with salt and pepper to taste. Arrange in a single layer in the slow cooker. Add black beans, corn, diced tomatoes, diced green chilies, tomato paste, chili powder, and oregano. Add chicken stock and stir to combine. Cover with lid and cook on HIGH for about 4 to 5 hours or on LOW for about 6 to 7 hours. Remove chicken and coarsely shred. Return to pot and continue to cook for another 3 to 5 minutes or until meat is heated through. Want a Creamy Chicken Tortilla Soup? Topping the soup with shredded cheese and sour cream should do the trick but if you prefer a richer flavor and thicker consistency, you can replace one cup of the chicken broth with heavy cream. Make sure to cook in steady simmer and do not allow to boil lest the cream separates and curdles. 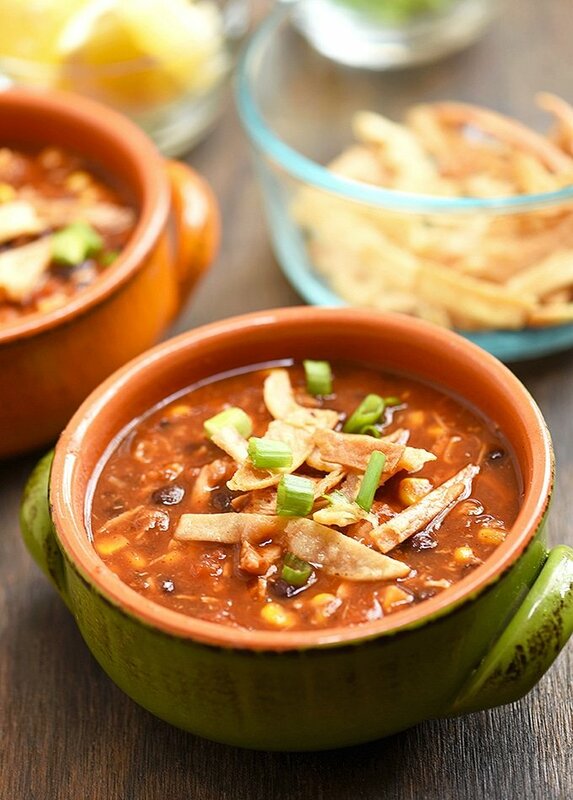 Chicken Tortilla Soup is the best soup you'll ever have! 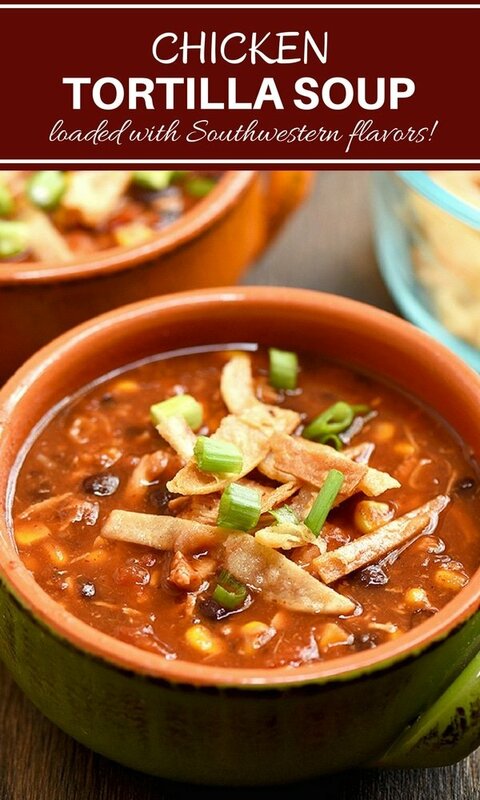 Loaded with moist chicken, black beans, roasted corn, flavorful broth, and crunchy tortilla strips, it's hearty and incredibly tasty! In a pan over medium heat, heat about 1-inch deep of oil. 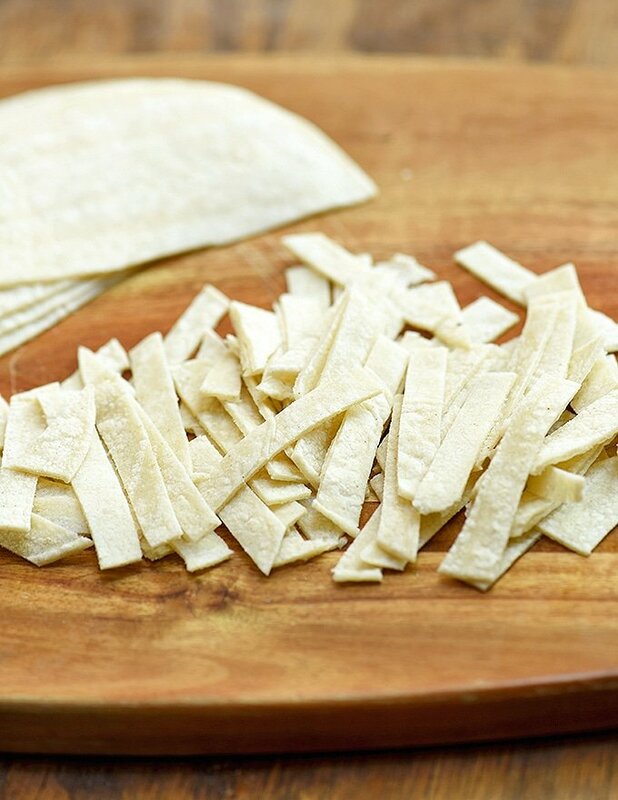 Add tortilla strips and cook, turning as needed, for about 2 to 3 minutes or until golden and crisp. With a slotted spoon, remove from pan and drain on paper towels. Season chicken breast with salt and pepper to taste. Set aside. In a pot over medium heat, heat about 1 tablespoon of oil (from frying the tortillas). Add onions and garlic and cook until softened. Add chicken stock, diced tomatoes, diced green chilies, tomato paste, chili powder, and oregano. Stir to combine and bring to a boil. Add chicken. Lower heat, cover, and simmer for about 10 to 15 minutes or until chicken is tender and cooked. Remove chicken from pot and shred. Return to pot. Add black beans and corn. Season with salt and pepper to taste. Continue to simmer for about 8 to 10 minutes or until heated. 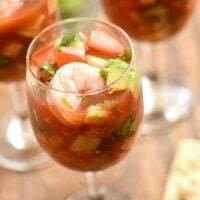 Ladle into serving bowls and top with crunchy tortilla strips and other garnishes, if desired. Drizzle with lime juice. Serve immediately. Nutritional info does not include the optional garnishes. I have made many soups and this is the best. I have had it for dinner and looked forward to it 3 nights in a row. Taking it for lunch tomorrow too. 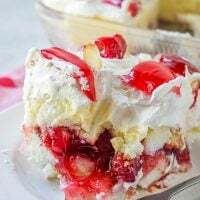 My mouth is watering by looking at the photos! 🙂 Perfect comfort food! I wouldn’t mind a bowl of tortilla soup right now. It looks super delicious! I love tortilla soup and my husband loves it even more! This one looks chock full of all the good stuff! Look super delicious! But I can’t just have 1/4 cup of cheese for the whole pot. I’ve got to have a quarter cup of cheese per bowl lol! 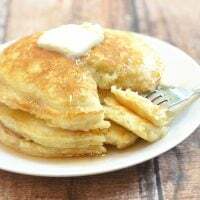 I am loving the sound of this with fresh cornbread for a simple weeknight dinner – and your photos are gorgeous! I’ve long been wanting to make my own tortilla soup. Your soup looks soooo… good. I’ll try it this weekend. Thanks! I love chicken tortilla soups, especially on cold winter days. Looks amazing! I made this for my family and we all loved it! Thanks for sharing.